Mr. Fadhili Jackson Manyaki is a Peacebuilding Specialist at the Institute of Peace and Conflict Studies, which is based in Dar es Salaam, Tanzania. 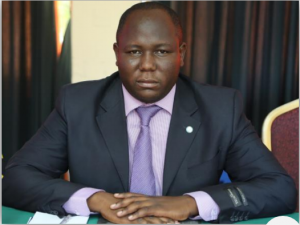 He has been working in the field since 2012, having spent time as a consultant with several organizations including SPLM North (Sudan People’s Liberation Movement-North), the Forum of Parliaments of the International Conference of the Great Lakes Region (FPICGLR), and TANGO Consult. Mr. Manyaki has a Bachelor’s Degree in Theology, an advanced diploma in Humanitarian Programs Management, and a diploma in Disaster Management. He recently attended AIPR’s Global Lemkin Seminar for the Prevention of Genocide, held in November of 2016. It is known that mass atrocities are not isolated events, but rather processes taking place over a period of time, which are built on different structural underlying issues. Therefore, prevention should be a process, too. I am in favor of policies and actions that create a base for respect for human dignity, regardless of identity. I would like to see a government-sponsored, but people-owned, prevention process whereby women, youth, children, religious leaders, civil societies participate to restructure our societies. We are living in societies where the “construction of the Other” along political, social and religious lines is prevalent. In most cases, certain groups feel mistreated, disrespected, excluded and unwanted, while, on the other hand, differing groups feel superior, correct, and like visionaries who are rightful owners of the given process. It is my wish that the government embark on a national rebuilding process through which different stakeholders (including political parties, religious institutions, civil societies, youth groups, women, etc.) shall be involved in creating a common national vision, mission, core values, and development strategies. This process will close loopholes that perpetrators utilize for their own agendas. The process would also work to reduce political tension, due to the shared national vision. Could you tell us a bit about the Prevention Village and your work in its founding? Despite of being an employee of a non-State regional peacekeeping training institution, I am a Founder of the Serenity Voice Foundation (SVF). The SVF is an organization working towards the establishment of a model community on the basis of social development, peacebuilding, human rights observance and the prevention of atrocity crimes. The project, however, is still in its early stages. I currently work on democratization processes, that is, training villagers on their civic duties and rights. As a result of a four-month training, a group of villagers have already decided to unseat their village leader due to a lack of accountability, impunity, and corruption before electing a new leader! I have also been working to oversee the creation of the Village’s common vision, mission, values and the writing of its four-year strategic plan (2017-2020). Cultural development: Engaging the community into developing positive culture in order to strengthen social fabrics, including programs such dances, poetry, building a library to house a collection of local proverbs, and inter-religious gatherings. Education, knowledge sharing and advocacy: Creating opportunities for fellowships, volunteerism, and offering education and the potential for advocacy through media and art, as well as replicating these efforts in other villages. Memorialization of human dignity: In genocide prevention, we tend to memorialize evil and inhumane actions in the past, committed by and against our fellows; in this village we tend to do the opposite: by memorializing the best values in humanity. We intend to build a park of peace and dignity in which we shall erect an image which depicts people of different races joining hands enjoying their lives in unity. This shall send a message of one identity which really matters: HUMANITY. Who or what motives and inspires you? Since my childhood, I have lived a life being discriminated against, mistreated and disrespected because I was born out of wedlock and my alleged father was from a different ethnic group and of a different religion. The pain (beatings, torture, segregation, etc) that I went through, and the rancor I harbored in my heart, are the source of my inspiration. My anger is not towards those who hurt me, but instead against the social models of disrespect for human dignity. I don’t want other people to go through the ordeal that I did. It makes me so happy to convert crying faces into laughing ones; I want to see people respected just because they are human beings. For you personally, what was the most important element of your visit to Auschwitz-Birkenau? Thinking of it now, my heart goes faster! Auschwitz-Birkenau, for me, is a constant reminder that human beings are evil and no one is above the line. With this thought, I’m encouraged to recommit my entire life, day by day, to helping those around me find and affirm themselves in living accountable lives. I will never forget standing by the pond in which human ashes were dumped! I felt the chilling in my heart and asked myself, “how can a man do this his fellow?” I also thought of the people that I hated and those who I wished to have power to get rid of. Then I asked myself, “do their wrongdoings give me a reason to terminate their lives?” Oh no… I’m no better than the Nazi soldiers if I keep on embracing the reasons why my presumed enemies should not exist! Gosh, my life is changed!